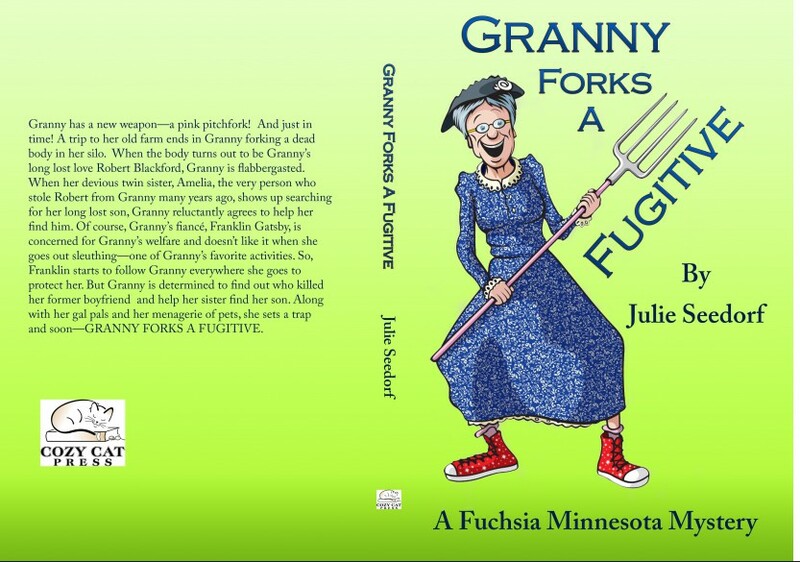 After months of writing and editing Granny Forks A Fugitive is now out in paperback and on Kindle. This book was a labor of love. When I wrote the first paragraph I had an idea where I was going with the book. Then I got stuck. I knew what I wanted to portray. I wanted my reader’s to know why Granny turned into this crusty old lady that didn’t show her emotions. As an author of the book and the character, I wasn’t quite sure either. The more I wrote about Granny this time the more I felt her pain of the past and the more I enjoyed her humor because that was what she used to get past her past and people that had betrayed her. It may seem odd that I fell in love with a character in my book. We all have people that we love in our lives that have betrayed us. It cuts through everything that we believed and makes us mistrust our instincts. If someone we love can hurt us so deeply then we won’t trust anyone. Breaking the trust cuts deep to our soul. Some people recover and learn to trust again and others live their lives away from love and people because their heart was broken by someone they love. The mystery in Granny Forks A Fugitive is tied to Granny’s past. I hope you read between the lines and feel what isn’t being said,and enjoy all that Fuchsia has to offer. Let the silliness take you away from the real world for a short time. I had originally planned to stop the Fuchsia Series after the fourth book but I have such a close heart connection with all the characters now, I feel the series needs to continue and we need to explore that connection and let the community of Fuchsia entice new residents to the unique community. I hope to not take as long as I did to get the next Fuchsia book out. Right now I am starting another series, yes, another quirky series that will take place in the community of Brilliant, Minnesota. Isn’t that brilliant, taking a community that is mentioned in Fuchsia and creating another book? We will see. Enjoy Granny and shout it out to the world that Granny is on another adventure. I appreciate my readers and the support you give me by spreading the word. Tags: Cozy Cat Press, Facebook, Fuchsia, Granny Forks A Fugitive, Granny Hooks A Crook, Granny Skewers A Scoundrel, Granny Snows A Sneak!, Julie Seedorf, Minnesota, Something About Nothing, Sprinkled Notes, The Courier Sentinel, Whatchamacallit? Thingamajig?